KDU Entrepreneurial Design – Design to Startup! One of the most important aspects of starting a business (but often overlooked) is defining and developing one’s brand from the beginning. Here’s a checklist of exactly what needs to be done in order to start your branding exercise. What does your brand stands for? Determine your target audience – Who are your average customers? Recognise your competitive advantage – What makes you different from your competitors? How should your brand look like? Perform an online image search for logos – Which logos are more eye-catching? Which logos are more forgettable? Define your brand’s personality – If you were to describe your brand as a person, what characteristics would come to mind? What are your core branding assets and how to keep them consistent? Create your logo – Decide on fonts, colours and imagery that will accurately represent your business’ values and characteristics outlined in no. 2. For enquiry on learning about ‘branding’ in our Entrepreneurial Design programme, visit our KDU University College website or email directly to clkoh@kdu.edu.my. This semester, Entrepreneurial Design students took up Sustainable Design module to explore different ways to innovate product design using fewer materials and designed so as to minimise waste. Students were involved in conceptualising, experimenting materials and designing prototypes as the final outcome. The overall objective is to meet the economic needs without compromising the ability of the planet. For enquiry about our Entrepreneurial Design programme, visit our KDU University College website or email directly to clkoh@kdu.edu.my. 2016 Young Designpreneurs Challenge is an annual event organised by KDU University College, Department of Creative Arts with the objective to nurture young Malaysians to build their future career as Designers with Entrepreneurial skills in a highly competitive market. Held in April, the challenge was very well received. Approximately 180 students from 24 schools participated in this challenge. Each group with a maximum number of 5 students was required to upcycle waste materials to design a table lamp. Each group went through a brainstorming session with our senior lecturer Mr. Jackson Wong to develop a product concept that only uses waste materials. Each team was required to pitch their concept in order to go through to the next elimination round and get their spot into the final round. 8 teams were selected and went through an intensive workshop with Jackson to turn their concepts into final prototypes at the end of the 2nd day. Anyone who has started a business on a shoestring is adept at bootstrapping, or in other words stretching resources — both financial and non-financial — as far as they can. Bootstrapping is not only limited to startup state but also at any stage of a business’ growth. With various skills and expertise, a bootstrap entrepreneur is able to develop high quality content and experience for their potential customers without incurring any cost. The KDU Entrepreneurial Design academic team demonstrates just that by producing our very own in-house video production for our Creative Arts programmes i.e. Entrepreneurial Design and Entertainment Arts. KDU Diploma in Entrepreneurial Design from KDU Creative Arts on Vimeo. 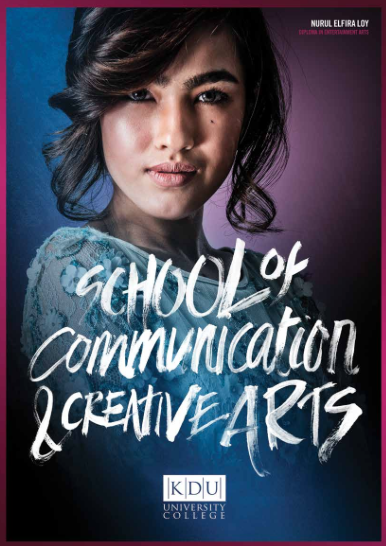 KDU Diploma in Entertainment Arts from KDU Creative Arts on Vimeo. If you are ready to take your career to the next level, pursuing a Master of Design (Innovation) can help you get there. The Master of Design (Innovation) is a dual parchment programme awarded by KDU University College and Rome University of Fine Arts (RUFA), and is best suited for those in the areas of Design and Innovation; Multimedia and Web; Advertising, Marketing and Communication; Photography; New Media Design; and Design as Research. 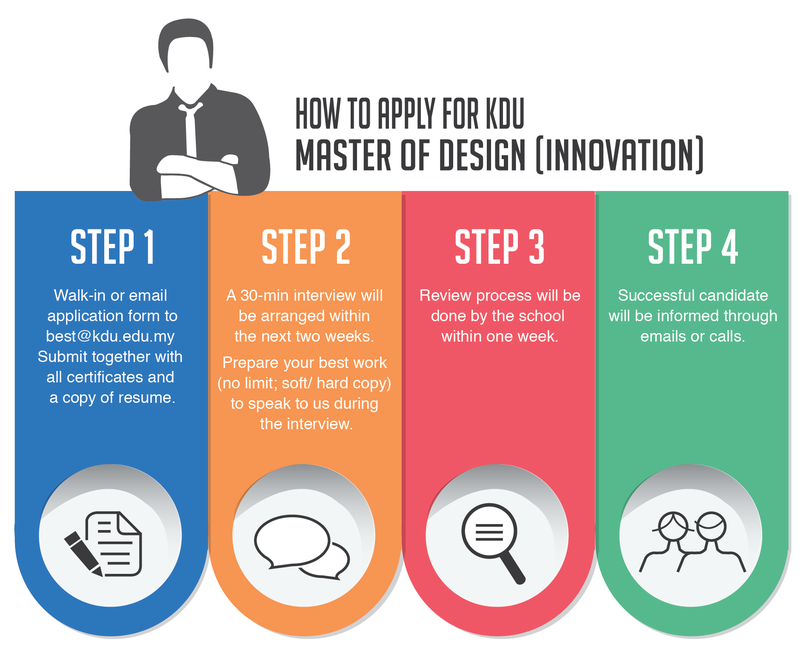 For more info about Master of Design (Innovation), visit our official KDU University College website here. For programme brochure, click here.